Lush bath bombs are one of the most sacred beauty treasures on the planet, as they transform our tubs into hypnotizing works of art (check out #lushporn on Instagram, and you’ll know what we mean). And while Lush has already created bath bombs shaped like lava lamps, robots, and dragon’s eggs, the cult-favorite brand is now releasing a new Rocket Science bath bomb that will rock your socks off. 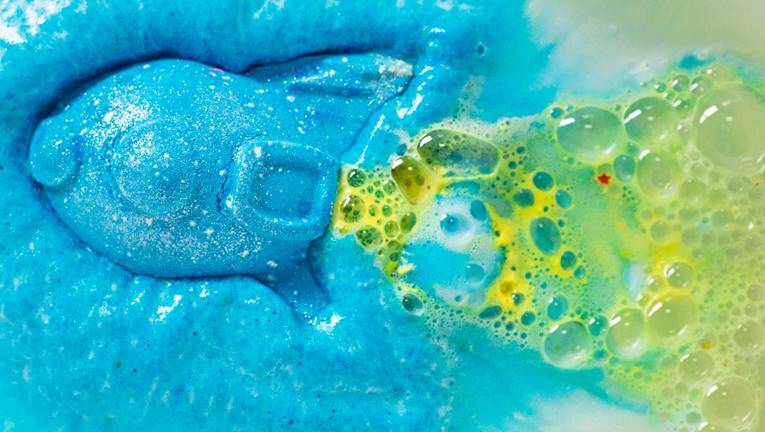 Shaped like a bright blue spaceship, the new Lush rocket bath bomb is literally called Rocket Science, and treats your senses to an uplifting aroma of bergamot and lemon. And when you drop this bad boy into your tub, expect it to set off a swirl of true blue goodness in just 10 minutes. Plus, the citruses used inside each Rocket Science bomb are ideal for those who need a mood boost, as citrus oils, in particular, have been known to help calm down inner stress and anxieties. This bath bomb uses Sicilian lemon and bergamot oils, too. So be sure to use this bath bomb the next time next time you you’re in desperate need of some self-care — or just want to take a little break. Ideal for your next stressful (or rainy!) day, the new Lush Rocket Science bath bomb will be available tomorrow, August 15th, for $5.95.